If you’re a beginner surfer and are looking forward to your first wave riding experience, you should learn a thing or two about choosing the correct Maui surfing equipment. As you might already know, there are so many things to do in Maui! But most people who visit the island choose to learn how to surf while they’re on vacation. And in order to learn the correct way to surf, you need to learn how to choose the right equipment. Obviously, the right surf board is the most important element that will help you ride the waves like a pro. But surfing equipment consists of much more than that. 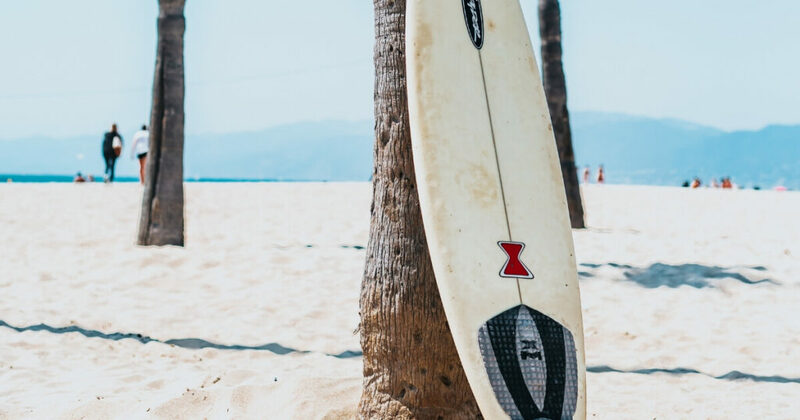 Whether you’re planning to take surfing to the next level or are simply curious about the correct Maui surfing equipment beginners should use, take a look at the short list below. Although slim, cool looking surfboards might look cooler, beginners should always use larger surfboards. At least for the first few lessons. Boards are the most important tools of a Maui surfing equipment. And larger ones are a better fit for first time surfers since they’re ideal if you still need to learn how to stand up properly and keep your balance as you ride your first waves. If you’re passionate about learning how to surf, but don’t want to spend hundreds on a large surfboard, book your first surf lessons with Zack Howard Surf. We’ll provide you with a surfboard that’s fit for your skill level as a beginner. Surf leashes are a must have, whether you’re a beginner surfer or an experienced wave rider. Your surf leash is the second most important piece of your Maui surfing equipment. It won’t help you keep your balance on your board, but it will prevent you from losing it and having to swim a lot to get it back, when you fall. Surfing in Maui is a lot of fun! Except if you forget to protect yourself from sunburn. Never forget to use sunscreen before a surfing session. Maui is well known for its very warm climate and the Sun can easily burn your skin if you’re not careful. Some surfers prefer to use traction pads, while others have a blast waxing their boards. Surf wax will prevent you from slipping on your board. If you were wondering why surfers keep waxing their equipment, it’s not because it makes everyone look “cool”. It’s because the wax adds texture that keeps the surfer from slipping off the board when riding a wave or while paddling out. Because surfing can be a challenging experience, especially for beginners, it’s crucial that you wear comfortable swimwear at all times. Forget about fashionable items and accessories. If you’re going to focus on learning how to surf, you need to make sure you’re 100% comfortable and free to move. Have you ever wondered what experienced surfers do to keep active? There’s a lot of surfing information on Maui, but the topic of healthy surfer habits comes up less often than it should. Typical surfing information on Maui includes tips and tricks on how to learn to surf like a pro. However, it rarely includes details about the series of recommended habits you need to maintain in order to take surfing to the next level. Surfing is the most fun you can have in Hawaii and experienced surfers have a real knack for riding big waves. Here’s how the pros manage to stay in shape and continuously improve their wave riding efforts. Did you think surfers spend most of their time in the water? Think again! Experienced surfers need to train a lot on dry land before hitting the waves. The reason is that surfing is a sport that makes use of most of your muscles. You need to be in shape in order to keep your balance for a long time on the board. Flexibility and strength are important and that’s why training on dry land is a must. While it’s true that surfers love to have fun, the best surfers are also those who get enough sleep. This may be one piece of surfing information on Maui that few beginner surfers understand. Maintaining a healthy routine in order to improve your skills and efforts requires you to rest. A good night sleep is an important part of taking care of your body and it’s what helps you handle a new surfing experience every day. Maintaining good lifestyle habits is a must for experienced surfers. And a balanced diet is part of a healthy routine. Surfers have the privilege to eat pretty much what they want, as long as it’s healthy. You need plenty of energy to be able to tackle big waves! A balanced diet that includes carbs, protein and healthy fats is what keeps surfers in shape and ready to ride their next challenge. Learning to surf like a pro takes years of experience, but this is a skill that can always be improved. Even after years of training, the best surfers never stop learning. If you’re looking to be the best at something, you need to keep at it and focus on challenging yourself on a regular basis. What’s the best way to become a better surfer? By stepping away from your comfort zone and learning how to tackle bigger and more challenging waves! The best surfers are never afraid to try something new. Book your first beginner surfing lesson today, see what it’s like to step away from your safe level of comfort and live an awesome first surfing experience! Are you familiar with the different types of surfing on Maui? The Hawaiian islands are known for being the best places to surf. And Maui is definitely at the top of the list. People from all over the world travel here to enjoy a wonderful vacation, but most are also eager to experience the different types of surfing on Maui, besides whatever else the island has to offer. These 4 types of surfing on Maui are the ones that seem to be most popular. 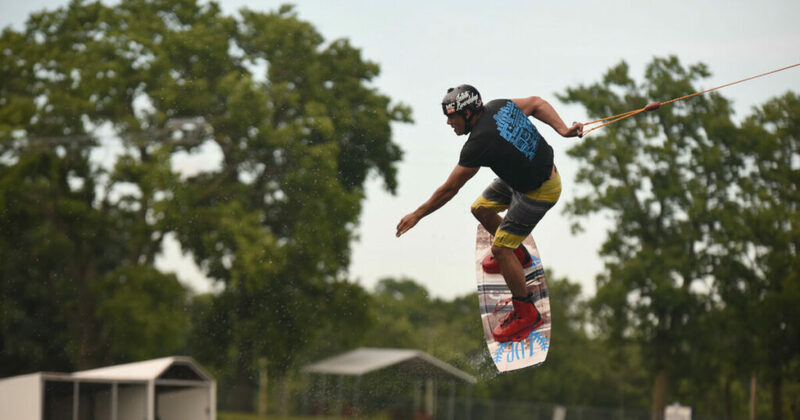 Although knowing how to literally stand up on the board is a must, they each offer a diverse and one of a kind experience to anyone who practices them. Without any further ado, here are 4 of the most popular types of surfing on Maui and their unique particularities. Stand up paddle surfing has originated in Hawaii and it’s one of the most fun types of surfing on Maui. Anyone can learn how to SUP and if you’re looking for fun things to do in Maui, then standup paddleboarding may be the perfect activity for you to enjoy with your friends or your family. However, you should also learn to know your limits. Even though SUP looks like a water sport that’s very easy to tackle, avoid venturing out too far away on your own. For anyone visiting Maui in the search for a good challenge, wind surfing can be a great way to enjoy the ocean’s waves. All you need is a day with medium and consistence wind in order to enjoy this fun type of surfing on Maui. The great thing about wind surfing is it’s not dangerous to fall. Even if you find yourself getting acquainted with the water, all you need to do is climb back on your board and start again. And remember: next time use your body weight more than your arm strength to keep your balance. Kite surfing is a very fun way to surf. Although to beginners, the sport can be intimidating, once you learn how to master your kite, kite surfing can turn out to be one of the most fun types of surfing in Maui. Contrary to what many believe, there’s no need to be extra fit to learn how to kite surf. In fact, in less than a week, you can already kite surf by yourself and enjoy your newfound ability to ride upwind. Without doubt, traditional surfing is the most well known type of surfing on Maui. Learning how to catch the waves is nothing short of exciting. And with a little bit of practice, you could quickly learn how to stand up on your paddle on your own and tackle even the most challenging waves. At Zack Howard Surf, we offer tailored lessons for every surfer, from beginner to advanced. If you’re ready to try out one of the most popular types of surfing in Maui, make sure you book your first surf lesson today! Is this your first time planning your vacation on the island and are looking for things to do in Maui? Maui can certainly be a lot of fun! The Hawaiian island is famous for it’s beautiful beaches, adventurous trail and rugged roads you can tackle with a jeep. But there’s something else that also makes Maui famous: the countless surfing spots where you can learn how to stand on a paddle on your own and ride some of the waves like a pro! Maui is one of the most popular places for surfing. The friendly climate, the multitude of waves and everything else in between make the island one of the best places you can visit if you’re eager to learn how to surf or live an adventure like a true sports enthusiast. Without any further ado, here are some of the top things you can do in Maui and enjoy a wonderful time on the island. Maui is a great place to immerse yourself in nature and enjoy the peace and quiet of the island. If you’re the adventurous type and plan to spend a few days on the island, make sure you research some of Maui’s most beautiful hiking, biking and waterfall trails. Are you a water sports enthusiast? Or would you like to swim alongside giant turtles and unique fish? When you plan your top things to do in Maui, make sure you add some of these activities on your list. If you’re a good swimmer and enjoy spending a day at the beach, then don’t miss out on what Maui has to offer! If you’re seeking an amazing, once-in-a-lifetime adventure on Maui, a guided tour will provide exactly what you’re looking for. Maui is the perfect destination to discover new, exciting places. And with a local guide by your side, you’ll be sure to learn more about the island and see breathtaking places you otherwise would have only admired in pictures. But how would you like to take the Maui experience even further? For all surfing enthusiasts visiting the island, Zack Howard Surf offers a special treat. We provide guided tours on Maui, tailored to every single client, and take you to see secret surf spots on the island known only to the locals. Without a doubt, the best thing you can do in Maui is learn how to surf. Or work on your surfing skills during your stay. Whether you travel alone, with friends or with your family and kids, Zack Howard Surf is ready to offer you your very first lesson. What better way to learn the art of standing on a board than by being taught by an expert? Kids and adults of all ages enjoy surfing. The little ones can have a blast learning how to stay safe in the water and, with your instructor by your side, you could learn how to catch the waves in Maui in no time. Learning how to catch your first wave or knowing how to choose the right board for a beginner are just a couple of the most important details you should know before embarking on your first Maui surf experience. But how much do you really know about this sport? There are many Maui surf facts you’ll probably find interesting if you’re eager to learn how to stand up on a board on your own. Keep reading to learn 5 of the most interesting Maui surf facts. The more you learn about surfing on the island, the more you’ll love the idea of learning to catch those waves like a pro. Once you’ll learn how to master your surfboard, you’ll soon understand that surfing is more than just a sport. It’s an amazing recreational activity that will help you gain a new attitude towards life. Surfing teaches you discipline and patience. And you’ll gain a newfound respect for the ocean for sure. There’s no going back once you embrace surfing as your favorite hobby. Did you know there are myriad beginner surfers who fail to catch a wave for months? Even the most experienced surfers can sometimes wipe-out. Beginner surfers should not get discouraged if at first the sport seems impossible to learn. Because of the complexity of certain techniques, but also because of the unpredictability of the surfing conditions, hitting the waves can be a complex and challenging experience even for professional surfers. Your Maui surf training is not complete once you learn how to stand up on your paddle on your own. Every single wave is unique. And even if the surfing forecast seems accurate, there’s still a chance the surfing conditions might be different than you initially expected. And if you thought professional surfers have nothing more to learn, think again. 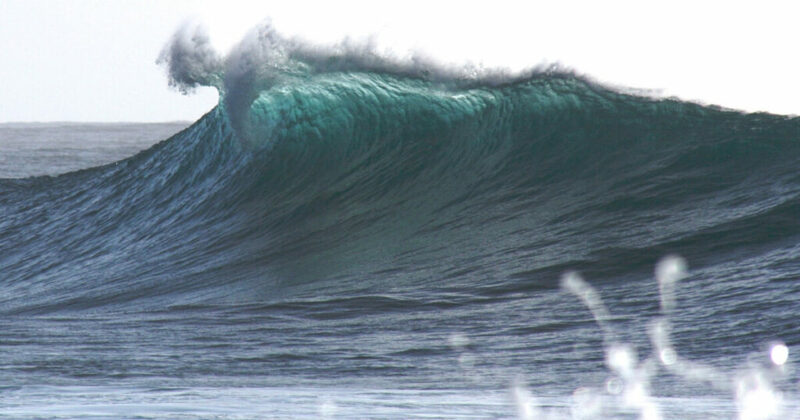 Every wave has a life of its own and that is what makes every Maui surf experience different. One of the most interesting facts about surfing is the fact that surfers actually spend little time riding the waves. And it all makes sense! You spend about half the time in the water just paddling. And once you arrive at the perfect spot, you still need to wait for the right wave to come along and catch it. This means you spend a lot of time in the water, but little time actually riding a wave! Just like any other sport, for that matter, surfing has plenty rules every surfer should follow. Surf ethics are not just a Hawaiian myth. Besides the need to learn how to master your board, you need to learn about and respect all the Maui surf rules. Surfing may not be a competition, but respecting fellow surfers is always a must. Do you know how fun it is to take surf lessons on Maui? When you’re visiting the island and look forward to a wonderful vacation, make sure to book your very own private surf lessons on Maui. Learning how to ride the waves is not only fun, but it’s the perfect way to experience Maui just like a local. Learning how to stand up straight on a surfboard is not as difficult as it may seem. Even if you’ve never surfed before in your life, once you take your first surf lessons on Maui, you’ll definitely fall in love with the ocean and embrace the chance to catch a perfect wave while on vacation! One of the top few things you can do here is surf. And here are 4 reasons why you should book your first surf lessons on Maui as soon as you plan your trip on the island. Did you think age or inexperience will stand in your way of catching your first wave? No way! Everyone can take beginner surf lessons on Maui. Kids and adults of all ages are all the perfect candidates to learn how to surf. The saying “age is just a number” is perfectly valid on Maui. No matter how young or old you are, regardless of your level of experience, it’s never to early or too late to jump on a surfboard for the very first time. With a good instructor by your side, you’ll learn how to catch your first wave in no time! Maintaining an active routine on a trip is tough and people often “forget” about exercise for the duration of their vacation. But that can’t happen if you take up surf lessons on Maui! In order to catch the waves of the ocean, you need strength and you need to master your balance. Surfing is the perfect way to stay fit on your trip! Did you know the ocean waves in Hawaii are not that aggressive? Beginner surfers will definitely have a blast trying to catch their first wave on the island! The first time hopping on a board can be challenge, but surf lessons on Maui make the experience worthwhile. 4. You simply cannot miss the fun of taking surf lessons on Maui! Do you really need another reason to book your first surf lessons on Maui? Well, don’t underestimate the fun! A challenge may seem like the last thing you need on vacation. But when you see how amazing it is to stand straight on your board, you’ll definitely understand why surfing is part of the Hawaiian culture: it’s so much fun! Surfing on Maui can be an amazing experience. And our skilled instructors at Zack Howard Surf will make sure you’ll have the time of your life on the island. Aloha friends, family, and fans! If you are planning on taking surfing lessons in Maui, look no further than Zack Howard Surf. Zack and his company offer the best surfing lessons in Maui by far! If you want to learn to surf on Maui, Zack is only a phone call away. Zack Howard Surf makes learning to surf on Maui very easy and fun! If you would like to take surf lessons on Maui with Zack Howard, he will provide you with all of the necessary equipment. These include surfboard, leash, and SPF 50 rashguards. The board is your main piece of equipment and the most important tool you will need when you learn to surf on Maui. The board is used for standing on and trimming properly on the waves. Having the right size surfboard is very important! Zack has the best surf school on Maui and a wide variety of shapes and sizes to choose from. The leash would be the second most important piece of equipment, it keeps you from losing your surfboard and having to swim all the way in when you fall. The third most important piece of equipment is your rashguard. The rashguard protects your upper body from surfboard rash and also sunburn. If you would like to pick an amazing maui surf school all you have to do is type in zackhowardsurf.com! For anyone wondering if surfing lessons are necessary, the answer is yes. Surfing is one of the hardest sports in the world and unless you start at a very young age or grow up by the beach surfing then surf lessons are a must. In just a few lessons you can learn propped surfing etiquette and how to read the waves. Also, you will learn what size board to start out on which is one of the most important factors when learning to surf. During your lesson, depending on how experienced your surf instructor is, you can ask him many questions that would take years to learn on your own. Save yourself the hassle and get a lesson. Just make sure your instructor is experienced with 20 years of surfing under his or her belt. Are surfing lessons worth it? Surfing lessons are worth their weight in gold. You can learn many tips and shortcuts that take the average hard headed person that refuses to take lessons years to learn. Put your pride aside and go take a lesson. Make sure that your surf instructor has plenty of knowledge and at least 20 years of surfing experience. There are a lot of bad surf instructors out there who have no business teaching. Do your research and pick someone who has experience. Do I need surfing lessons? Yes, you definitely need surfing lessons. Surfing is one of the most difficult sports in the world and it can be very complicated if you do not take a lesson. Learning which spots are safe for beginners is a key factor. Also, starting out with the right equipment is very important. Make sure you find a surf instructor with plenty of experience and remember not to start out on to short of a surfboard. re: Should take surfing lessons? Do you need surfing lessons? Yes, you do need to take surf lessons. Trying to learn how to surf on your own can be very difficult and also a hazard to yourself and other people in the lineup. Surfers can also be very territorial so it is important to know which breaks are user-friendly for beginners. Depending on where you are in the world you may or may not need a wetsuit. Also depending on what kind of break you are surfing you may need different equipment. All of these variables and questions you may have can be answered in one or two surf lessons. It is very important to arm yourself with as much knowledge as possible before you decide to try and surf alone. Make sure that your surf instructor has at least 20 years of experience. Do you tip for surfing lessons? Tipping is always a nice bonus for a surf instructor. Depending on the quality of your surf lesson and how much valuable information was given to you. Remember trying to get all this info on your own would take years of surfing and earning respect. So take care of your surf instructor. How many surfing lessons do I need? I believe that you can never take enough surf lessons. Even the world’s best professionals have coaches that surf with them and also take video of their sessions. After the session, they sit and watch a video, and break down their form and ways that they can improve. If you have a world class surf instructor he should be able to give you feedback no matter how good you get. If you are surfing with a pro and have the money to keep getting lessons, then I highly recommend doing it. You will continue to improve your skills at a much faster rate! How much are surfing lessons? Surfing lessons can range anywhere from $50 per person to $220 per person depending on where you are in the world and who is teaching you to surf. re: How much do surfing lessons cost? How much are surfing lessons in Hawaii? Surfing lessons in Hawaii can range anywhere between $50 dollars per person all the way to $220 per person depending on which island you are on and who is giving you the lesson. re: How much do surfing lessons cost in Hawaii? How much do surfing lessons cost in Maui? Surf lessons in Maui cost anywhere from $75 per person to $220 per person depending on which school you choose and the caliber of the surf instructor. Usually the more experience the instructor the more you will pay for a lesson. Don’t go cheap make sure you surf with someone who has at least 20 years of surf experience. re: How much are surfing lessons in Maui? Aloha friends family and fans! I wanted to check in to let you know what’s been happening this last week. I got to go to my favorite surf spot and film a couple days riding my single-fin longboard. It’s been a while since I’ve done a video clip of me surfing and I am very proud that we were able to capture some awesome footage. Over the last several years I’ve pretty much been only short-boarding the bay. Just this year I decided to dust off my single-fin longboard. I’ve been having the best time! After all, I was discovered by Oxbow at 15 years old longboarding in Malibu. That discovery led to a long relationship and LOTS of world travels. It feels really good to make a video and see myself surf again. I think I will start doing a bit more of this. Other than that, I have been doing a LOT of surf lessons. I’m very happy to coach clients and teach them the ways of the ocean. I plan on working a lot this next year and really focus my energy on surfing lessons. I hope you enjoy this new video and it motivates some of you to dust off an old longboard and shred!! What a week it was last week! Aloha friends family and fans! I’m Just now getting sitting down and catching my breath! What a week it was last week. On Friday, November 11th, I worked in the channel all day running security on my 19 foot Boston Whaler Sentry. I thought it was gonna be just a mellow day in the channel but I really had my work cut out for me! There were about 25 other boats out there that were not supposed to go past a buoy line for safety reasons. The channel can get really dangerous if there are too many boats trying to get a peek and a photo of the world’s best big wave surfers. Needless to say, I had to motor back and forth giving people multiple warnings not to go past the buoy line. The contest was a great show! The waves were 25-40 feet on the face and the swell just seemed to get better as the day progressed. Maui’s own Billy Kemper took top honors for the men and also from Maui Paige Alms won the woman’s event. Both surfers seemed to be surfing on a completely different level than their competitors! They were charging so hard it was unbelievable. Jaws seems to be the only wave in the world that looks bigger in photos than it does in person! It was very humbling watching these hard-charging men and women huck themselves over the ledge for a score. The day after the Peahi challenge I put my boat in the water to keep the sugar cane dust off and ended up catching 2 nice sized Mahi Mahi an Omilu a Uku and a Mu! What a day! Four different kinds of fish and you know we had a little bit of each one! Maui has been extra special these last few weeks, and there is more magic on the way!